Can you imagine!?! Between last night and today I’m down to sewing on buttons! YAY!!! I’m totally going to be done this weekend. Good. Times. But, right now, I want to show you how I set in my coat sleeves. Let me begin with this: I do not know or understand anything about sleeve cap ease. Yes, I have read the Fashion Incubator post on ease and I don’t really get it. I’ve never had a huge problem easing in sleeves so I don’t stress about it. I tend to ease them in flat and that generally works out well for me. When I read people have taken ease out of the cap, I shrug and keep reading. I don’t comprehend it. Perhaps it’s a mental block. I was definitely like that for years about fly front zippers. 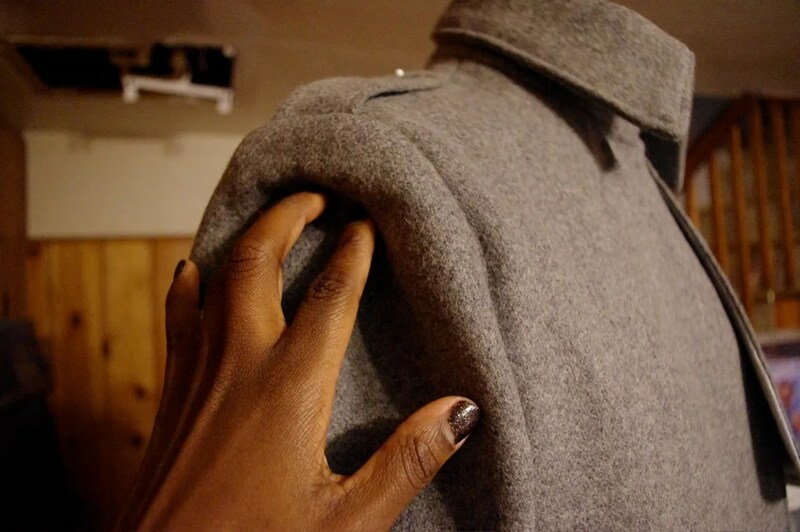 For this coat, I wanted to try a different method for easing in my sleeves. I read about this in the Complete Guide to Sewing Jackets. You use a 1 1/2 inch wide bias strip of lambswool or hair canvas. I didn’t have either. But, I did have some drapery interlining from Haberman’s that I had used as tie interfacing. First, I interfaced the hem by 2x the hem width. I then I added 1 1/4 inch width wigan. This wigan has been in my stash for the last two years. The wigan provides structure to your sleeve hem and keeps it nice and crisp. I also added it to the bottom of my coat. 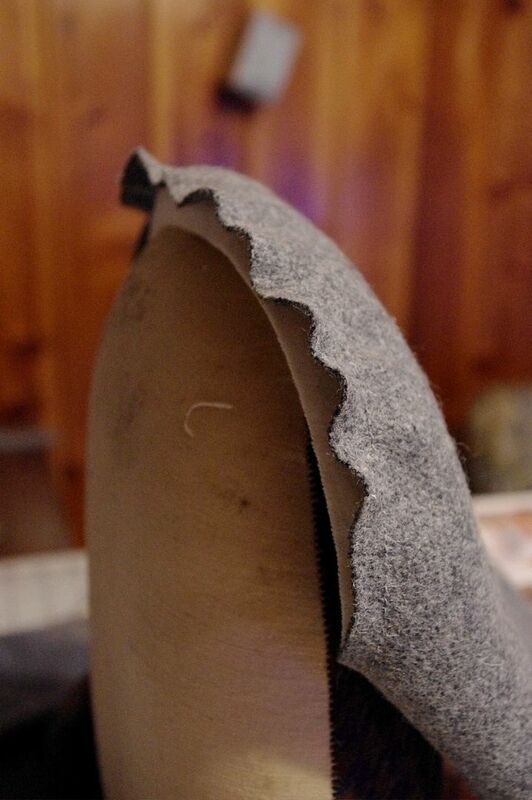 It also allows the hem to turn nicely. For details on applying wigan, check Fashion Incubator. You’ll anchor the strip in the sleeve cap where easing begins. 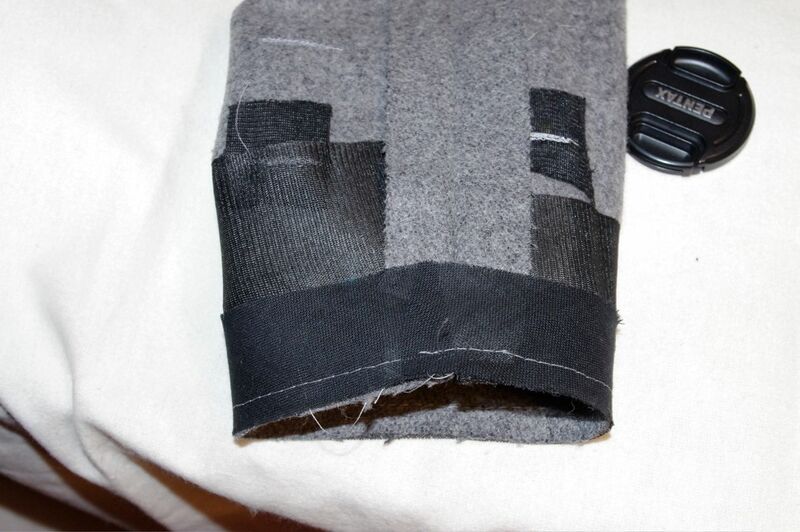 Then, pulling the strip taught, sew it to the sleeve cap. When you release the strip, the sleeve is nicely eased. 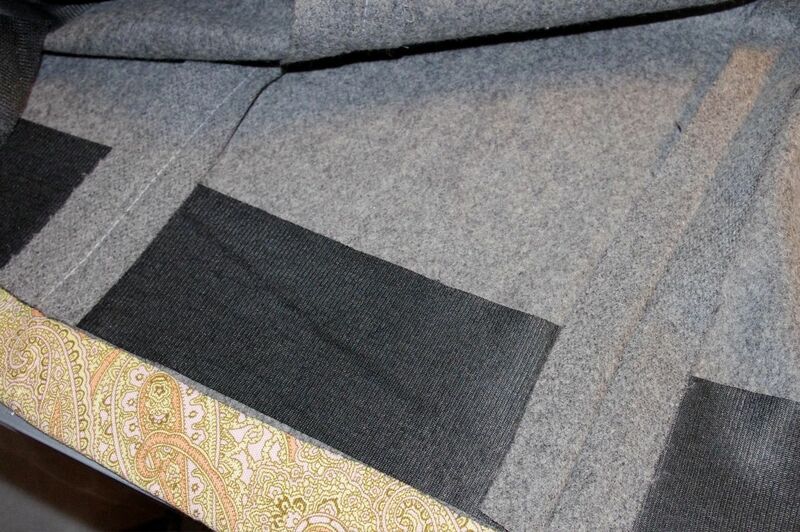 The bias also provides a touch of extra structure to the coat. It sewed in perfectly! 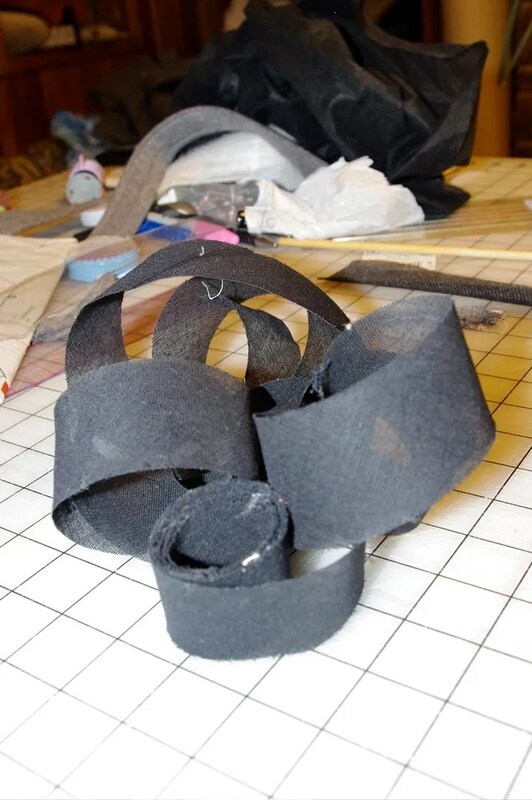 I also added a sleeve head and hand sewed in shoulder pads. I actually think my melton is heavy enough not to need the sleevehead. But, when in Rome…. Here, you can see my shoulder pad extends a bit into the sleeve. Finally, I was at American Apparel this week and saw one of the better store made garments I’ve seen in a while. It’s a Melton wool cape. It had thick satin lining and weighed an absolute ton. It was also $155. I would have bought it if I didn’t sew and you know, had the money. I’m feeling very good about the $120 I’ve invested in my coat. This is my preferred method of setting a sleeve. It is by far the easiest way of doing it. It’s looking good. Your coat is looks fabulous! I am afraid to start my coat. 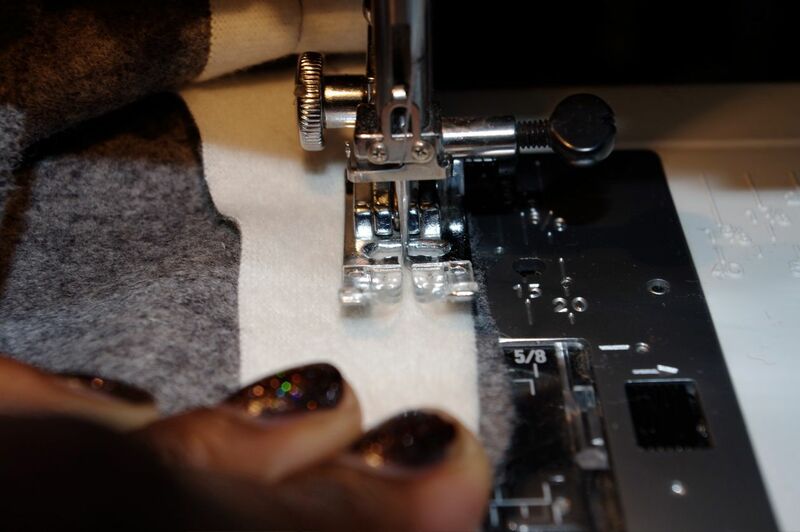 Picking the correct interfacing (I want to fuse), deciding on using a sleeve head, sleeve insertion methods. Its very daunting. I hope my coat looks as good as yours! I never shop their either. But, I had a Groupon and wanted to buy leg warmers. The cape really stood out to me. I think, like you, because the fabric was so good! It it was $110 here, I think I would have scooped it up! 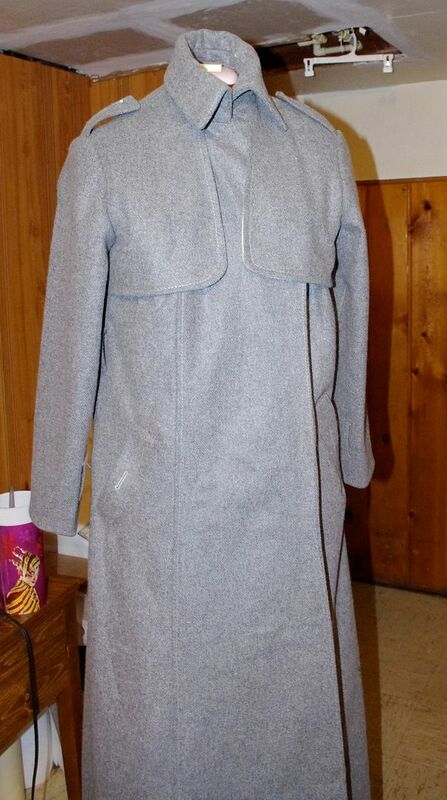 Your coat is looking great, no wonder you are motivated to get it done. 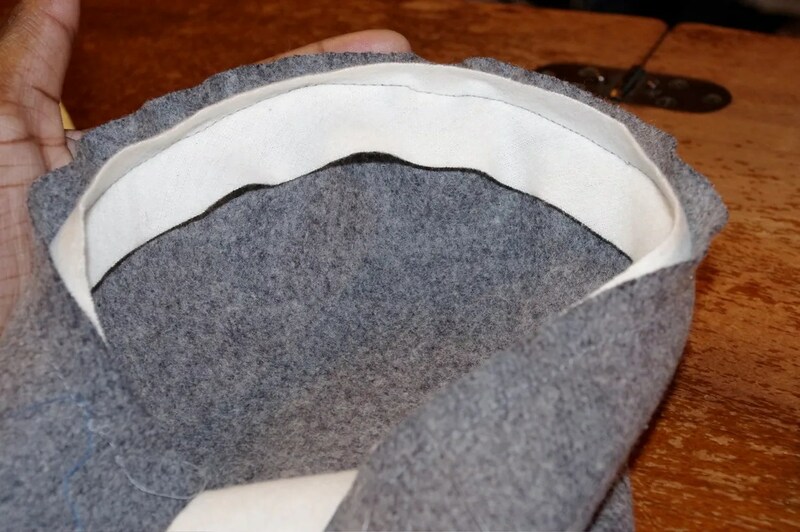 I find setting in sleeves in wool fabric to be quite easy as you can steam the fabric into shape, but other fabrics can be impossible if there is too much ease. Anyway looks like your method here worked perfectly. You know you have totally inspired me to make a wool trench coat too…I’ve wanted one for a minute and seeing you sail through this project has encouraged me that I can make one too! Wow, your coat is looking really, really nice! Very expensive looking! Your coat is looking good. Can’t wait to see how it turns out. That cape is sooo Simplicity 2285. I have to do buttonholes on mine and then it’s done, but I did mine in cheap 200 wt fleece with no lining. Well, the truth is that your coat is way better made than the other one, and it will last far longer. Love your beautiful tailoring techniques you used on this coat, and you’ll love wearing it, if for no other reason that to brag for 10 years that you made it!!! 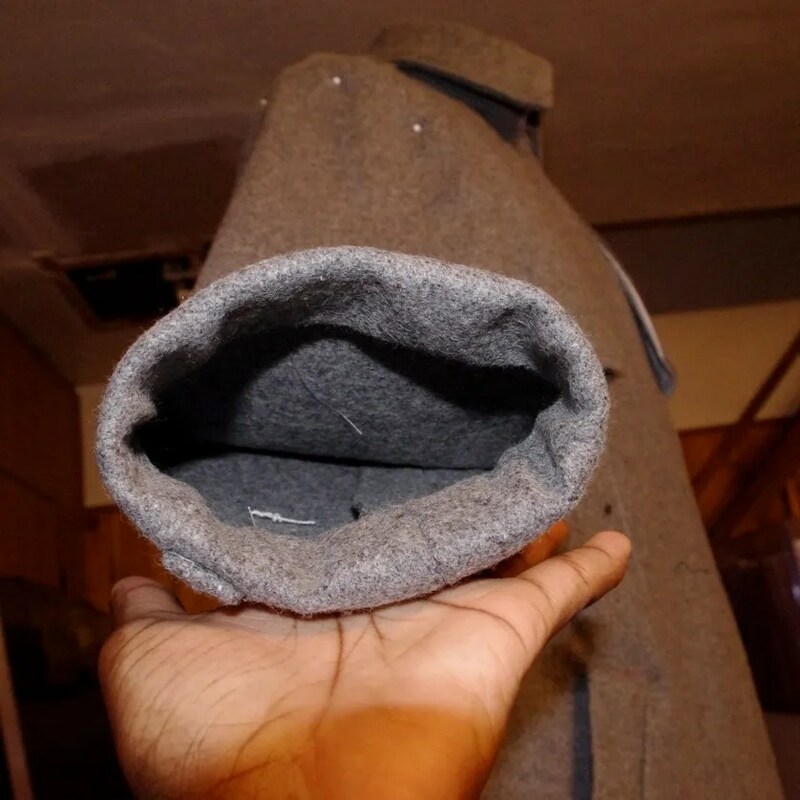 Your coat is coming together nicely! Thanks for the tip. Thanks for showing us this technique. Your coat looks fantastic and you’ll be wearing it for years. 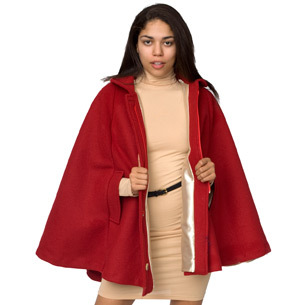 If you want a red cape, see McCalls5764. Great pattern that would love fabulous is bright red. PS I’ve just finished my trench dress that was inspired by your pleated/cap sleeve trench dress. I love it, so thank you. Oops, I mean’t your jacket. What a great tip for easing in sleeve caps. Thanks for posting and including great photos. Your coatlooks fantastic.